Bosses should be more open to giving their hard-working staff time off if they want to improve productivity, said human resource experts. 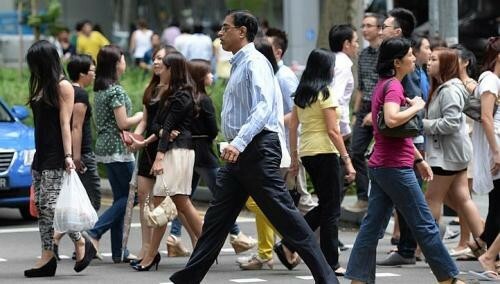 Despite Singaporeans being found to work some of the longest hours in the developed world, a survey released yesterday revealed that some of them have resorted to extreme measures to get leave when they need it. Of the 1,000 people quizzed, 9 per cent admitted calling in sick when they were not. Another 6 per cent lied that a family member was ill while 4 per cent even fibbed that they needed the time to take a honeymoon. The same number went as far as paying or bribing a colleague to help them lie. One in 10 has falsely claimed his holiday was already booked, so his leave would be approved. Responding to the survey, which was carried out by travel website Skyscanner, HR experts said giving employees time off - whether it be for a holiday, medical treatment or just to run an errand - will reduce the tendency for them to lie to go on leave. Singapore Human Resources Institute president Erman Tan said: "The company's leaders need to build a culture that respects that everyone deserves some time off to spend with his loved ones and recharge." A recent study by Dutch researchers found that Singaporeans put in some of the longest hours among developed countries - averaging about 2,287 hours in 2011, according to the Groningen Growth and Development Centre. Mr Tan said corporate culture can restrict employees from being open about needing a break, but added that the practice of lying to get time off is prevalent in workplaces around the world. Employers are also reluctant to allow flexible work arrangements to let their staff fulfil family commitments, according to Mr Josh Goh, assistant director for corporate services at recruitment firm The GMP Group. "This is not productive," he said. "The employee may need just one or two hours off work, but when he calls in sick, he ends up not working the entire day." Staff can also feel aggrieved if they work overtime and that goes unnoticed by their superiors. "So they may come up with another reason to take the next day off and feel that they deserved it," added Mr Goh. A banker, who wanted to be known only as Mr Lim, said he once called in sick because he was tired from working late the previous day. The 25-year-old said: "But generally, no matter how late you work, you still have to come in early the next day."